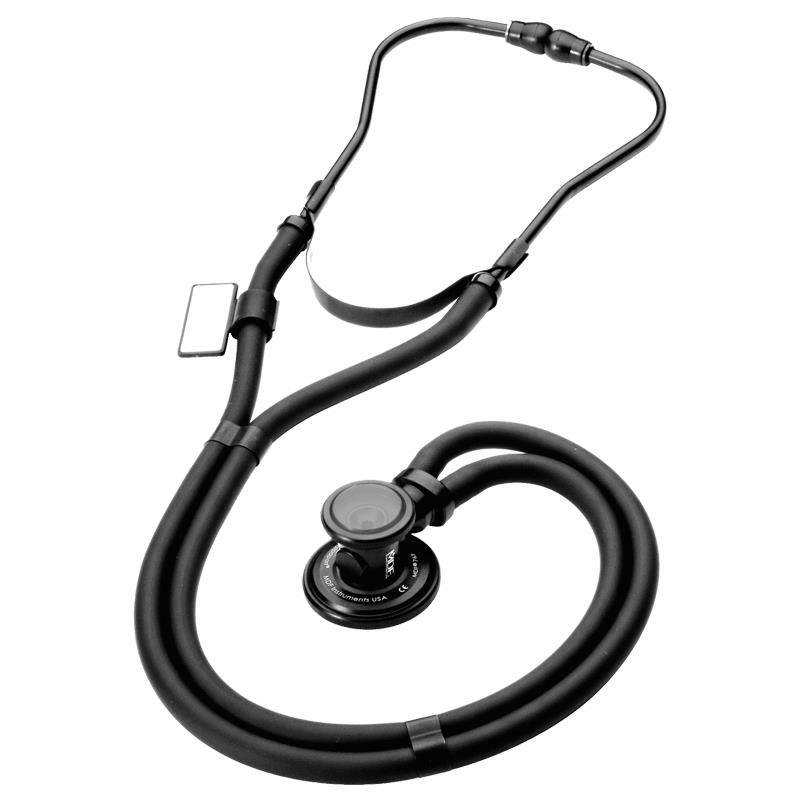 MDF Sprague Rapport Stethoscope is designed to detect entire range of heart and chest sounds. It is five-in-one for a full range of diagnostic capability that is clinically proven to deliver more faint heart sounds and murmurs. This classic design allows healthcare professionals to assess adult, pediatric and infant patients using just one stethoscope. Equipped with a full rotational dual-output acoustic valve stem, all components are individually machined and precisely assembled. Strict tolerance control and valve mechanism ensure smooth valve rotation and accurate acoustic transmission. It enables users to switch between adult and pediatric-sided diaphragms/bells with ease and interchange both side of the chestpiece with adult and pediatric chestpiece fittings (2 diaphragms and 3 bells). Adjustable chrome-plated wide brass tubes are outfitted with flexible spring and MDF comfortseal eartips designed for a long lasting anatomical fit. Dual high performance acoustic tubes are secured in place by a non-pinching and non-obtrusive chrome-plated brass acoustic tube clasp. This tube is constructed of non-cracking, non-sticking high-density latex-free PVC.